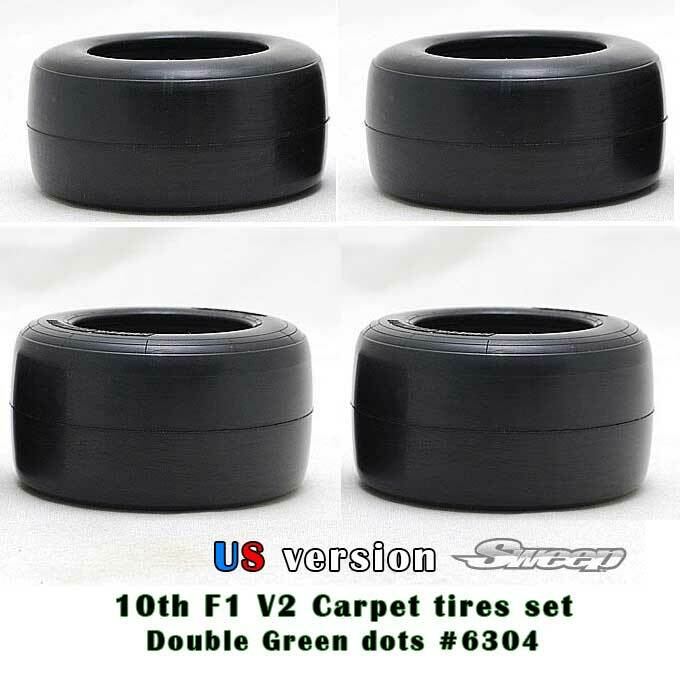 10th F1 Preglued tire set for CRC Black High traction carpet F104 4pc set. Great Carpet tires for small club races to international events. This kit include total 4 Green dots tires, 2 front tires and 2 Rear tires in a retail package. Glue Front Tire Glue (FTG. Part #SW-0595) 2-3mm on the front tires sidewall edge to begin, may require 1-3mm additional gluing on the tire running surface to prevent Barrel rolls depending on traction available.